DEAR JERRY: I am a long time music lover who still learns a lot from your answers to questions asked by other readers. For example, I know Columbia introduced the long-play format in 1948 with a 10-inch Frank Sinatra LP. But it doesn't make sense that they would release just one selection. Are there others that we just don't hear about? DEAR JOEL: Yes, there are exactly 100 others you don't hear about — until now. At a two-day Columbia Records convention (June 21-22, 1948), they proudly announced, and previewed for the media and distributors, a debut catalog of 101 microgroove LPs. Two months later they went on sale nationwide. 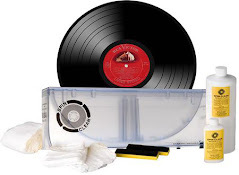 The biggest chunk of this first batch of vinylite (soon shortened to “vinyl”) is the 70 classical music albums in their Masterworks line (CL-2000 and ML-4000 series). The masters featured, and number of LPs if more than one, are: Bach; Beethoven (12); Bizet; Brahms (4); Bruch; Chopin; De Falla; Debussy (5); Dvorak (2); Foster; Franck; Gershwin (2); Gilbert & Sullivan; Grieg; Haydn; Khachaturian (2); Mahler; Mendelssohn (2); Moussorgsky-Ravel; Mozart (4); Prokofiev (2); Ravel (2); Schubert; Schumann (2); Shostakovich; Sibelius; J. Strauss; R. Strauss (2); Stravinsky (2); Tchaikowsky (6); Wagner (2); and Wieniawski (3). That leaves just 11 LPs to be spread out among Columbia's many pop stars. Besides Sinatra (CL-6001), they include: Frankie Carle (CL-6002); Dorothy Shay (CL-6003); Dinah Shore (CL-6004); Xavier Cugat (CL-6005); Marek Weber (CL-6006); Buddy Clark (CL-6007); Les Brown (CL-6008); Harry James (CL-6009); Eddy Duchin (CL-6010); and Ray Noble (CL-6011). The main reason you hear more about “The Voice of Frank Sinatra” is because his is where the pop numbering began, giving the impression it came ahead of the others. What is not widely known is that all 101 of these albums — specifically 30 ten-inch and 71 twelve-inch discs — came out at exactly the same time. By the end of August, some 500 Columbia record retailers had their starting inventory. Here are the suggested retail prices, which might have seemed a bit costly in 1948: $4.85 for 12-inch Masterworks (4000 series); $3.85 for 10-inch Masterworks (2000 series); and $2.85 for pop titles (6000 series), all of which are 10-inch. Along with the records, stores also received Philco 33-speed album players (retailing for $31.50), needed to demonstrate the new microgroove format. Each month following, Columbia, and other labels, added dozens of new titles to their LP catalog. 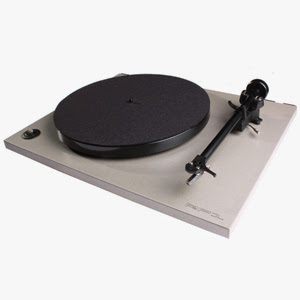 Though Columbia didn't unveil microgroove LPs until mid-1948, their research into that area actually began in 1939, around the time the Second World War began. They did not resume the project until the war ended in 1945. DEAR JERRY: I have a 78 of “The Chipmunk Song,” and want to know if it is the last No. 1 hit released here on 78, as well as 45? I know some other countries made 78s for years after the U.S. dropped that format. DEAR SAM: “The Chipmunk Song,” released in November 1958, is among the last U.S. 78 singles; however, Wilbert Harrison's “Kansas City” came along four months later, on 45 and 78 rpm. It reached No. 1 in mid-May 1959, and is the answer to your question. Between “The Chipmunk Song” and “Kansas City,” two other No. 1 hits were available on 78: “Stagger Lee” (Lloyd Price) and “The Happy Organ” (Dave 'Baby' Cortez). In May of 1950, about two years and 100 albums after Columbia introduced the long play, one of their own became the first LP to reach No. 1 on the album charts. This honor belongs to the soundtrack of “Young Man with a Horn” (Columbia CL-6106), featuring Doris Day with Harry James and His Orchestra. Then in March 1951, the original cast recording of “Guys and Dolls” (Decca DL-8036) became the first 12-inch LP to hit No. 1.
author Dan Brooks emailed me and is sharing his fantastic interview with Billy Fields. take the time to read this as Fields certainly has his fingers on the pulse of vinyl! The struggles of the music business over the last 10 years have been well-documented. With the launch of Napster and the blossoming of illegal downloads, sales of physical CDs plummeted, and labels and shops disappeared. Digital sales via outlets like iTunes and Amazon have helped the industry stem the tide a little, but not enough. Yet over the last few years, something strange has happened: vinyl sales have shown tremendous growth. Once deemed too big and too old in the CD era, the format has somehow made a comeback in the age of digital downloads. We recently caught up with Billy Fields, Director of Sales and overseer of vinyl production and Record Store Day for a major record company, to discuss the return of vinyl, what makes the format unique, and how digital music and vinyl can both continue to grow in the years ahead. Flightpath: Music is so tied into digital technology these days, but vinyl sales – this year and last year – are really kind of astounding. 2.8 million sold in 2010, and that was up from 900,000 four years ago. Sales from 2011 so far are up 37 percent over the same period last year. Why do you think this is happening? Billy Fields: I should couch all this. Some of this is actually based in fact because of the business I’m in and who I talk to on a regular basis, but a lot of this is just my thought about the aspect of digital music – that convenience is really fantastic, but convenience doesn’t actually trump the emotional connection that someone has to a record. I just read a story that came in through a vinyl community blog and through a Twitter feed that I follow about this cat that was in San Antonio when the wildfires struck. The guy snuck back into his “by-demand-of-the-police-get-out-of-the-neighborhood” neighborhood to get his records. NEW YORK, Oct. 26, 2011 /PRNewswire/ -- Theatre Within today announces the November 15th release of a live album chronicling the sold out, star-studded 30th Annual John Lennon Tribute, Live from the Beacon Theatre NYC. The 15-song release will be available digitally via iTunes, Amazon and other major online music outlets. The album can be pre-ordered HERE. Proceeds from the sales of the digital release will be shared with the Japanese Red Cross for its ongoing Earthquake/Tsunami Relief efforts. Martin Sexton, whose rendition of "Working Class Hero," was called "chill-inspiring" by Billboard Magazine, said, "John has always been a hero of mine, not only for his musical brilliance, but for his life-long commitment to bringing peace and light into the world." Talking about performing "Come Together" with Steph Brown and his daughter Deva, Taj Mahal said, "Respect the way the song was written because that's what grabbed me, and then add my sauce, or my wiggle or growl." Theatre Within, a not-for-profit performing arts presenter dedicated to producing shows to benefit important charities and social causes, has produced The Annual John Lennon Tribute since 1981, shortly after Lennon's death. It is the longest running event of its kind and the only ongoing tribute show in the world to have earned the support of Yoko Ono. Theatre Within also announces that its 31st Annual John Lennon Tribute will take place on Saturday, December 10, 2011, at Le Poisson Rouge. This year's lineup includes: Tribute alumni Steve Forbert, Bettye LaVette, Lucy Kaplansky, Rich Pagano, Richard Barone and first timers, Toshi Reagon and Ari Hest. 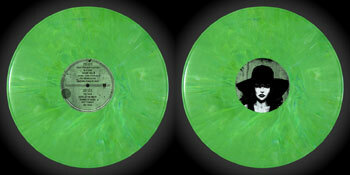 Glow In The Dark Vinyl? Leave it to Jack White. In bringing back an old gimmick, he sets the bar high by bringing back 'glow in the dark' vinyl; which, by the way creates a beautiful collectible (but he knows that!). Kraftwerk released a 12" single of "Neon Lights", made of glow-in-the-dark plastic in 1978 and I would bet that there are a number of children's records that glow in the dark as well. feelgood story about our beloved records! Late-show hosts used to hold up a compact disc when bands appeared on their show; now, they are starting to hold up records, said Scott Makerchuk manager of the new Old Town record store The Bizarre Bazaar. While the distinction might appear minor to some, Makerchuk, 45, of Fort Collins points to it as a sign of the times that vinyl is coming back. The Bizarre Bazaar opened Tuesday in Old Town Fort Collins to buy and sell used records, books and movies. The store at 254 Linden St. offers what Makerchuk calls pre-download-era used media. That includes everything from books and VHS to classic records. 7. Thee Oh Sees / Total Control - Split 12"
9. Richard Swift - Walt Wolfman 12"
12. Deerhoof (w/Jeff Tweedy)/The Raccoonists - Behold A Raccoon In The Darkness 7"
18. JEFF The Brotherhood - Whatever I Want 7"
In 1958, Bill Haley And His Comets played the first Rock 'n' Roll concert in West Berlin, Germany, where riots broke out among the 7,000 fans. In 1961, Bob Dylan signed with Columbia Records. In 1963, Bob Dylan sold out Carnegie Hall. He had played at the venue for 53 people just one year before. In 1965, the Beatles are awarded the prestigious MBE (Members of the Most Honorable Order of the British Empire ) medal at Buckingham Palace. Many former recipients gave theirs back in protest, to which John Lennon responded "Lots of people who complained about us receiving the MBE received theirs for heroism in the war, for killing people." He continued: "We received ours for entertaining other people. I'd say we deserve ours more." When asked how he enjoyed meeting Queen Elizabeth II, John said "She's much nicer than she is in the photos." In 1970, a wake was held at the Lion’s Share in San Anselmo, California to celebrate the life of Janis Joplin. The singer, who died of an accidental drugs overdose, had left $2,500 in her will to throw a wake party in the event of her demise. Joplin was cremated in the Pierce Brothers Westwood Village Mortuary in Los Angeles; her ashes were scattered from a plane into the Pacific Ocean and along Stinson Beach. "A Chorus Line" premiered in 1975. In 1978, the Police played their first US show in Boston at the Rat Club. In 1980, Paul Kantner of Jefferson Starship suffers a brain hemorrhage during a recording session. After 15 days in the hospital he recovers fully. 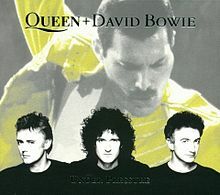 In 1981, Queen and David Bowie recorded their collaborative effort "Under Pressure" in Montreaux, Switzerland. The song was featured on Queen's 1982 album Hot Space. The song reached #1 on the UK Singles Chart. It was also number 31 on VH1's 100 Greatest Songs of the '80s. The song was reportedly played live at every Queen concert between 1982-1986. In the early '80s, it was popular for 2 superstars to get together and release a hit single. Other notable combinations include Paul McCartney and Stevie Wonder on "Ebony And Ivory," Diana Ross and Lionel Richie on "Endless Love," and Kenny Rogers and Dolly Parton on "Islands in the Stream." This was the first time Queen collaborated with another artist. In 1984, 19 year-old John D. McCollum shot himself with a .22 caliber handgun after spending the day listening to Ozzy Osbourne records. A year later, McCollum's parents sued Ozzy and CBS Records, alleging that the song "Suicide Solution" contributed to their son's death. The suit was eventually dismissed. In 1992, Pearl Jam set a new record for first week sales when their LP "Vs." sold over 950,000 copies. In 1993, catholic churches in San Juan, Puerto Rico urge residents to tie black ribbons on trees to protest Madonna's first concert there. In 1994, Wilbert Harrison, most often remembered for his 1959 chart-topper "Kansas City", suffered a stroke and died at the age of 65. In 2001, his recording of that song was given a Grammy Hall of Fame Award, and has also been named as one of The Rock and Roll Hall of Fame's 500 Songs that Shaped Rock and Roll. In 1999, singer / songwriter Hoyt Axton died peacefully at his ranch at the age of 61. 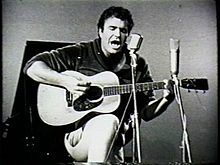 He is most often remembered for writing Three Dog Night's "Joy To The World" and "Never Been To Spain" as well as Ringo Starr's "The No No Song" and The Kingston Trio's "Greenback Dollar". His mother, Mae Buran Axton, wrote Elvis Presley's "Heartbreak Hotel". In 2004, the Recording Industry Association of America brought a fresh round of copyright-infringement lawsuits against 750 file sharers, including 25 users on 13 university campuses. Also in 2004, Apple launched the U2 Special Edition iPod as part of a partnership between Apple, U2 and Universal Music Group. The new U2 iPod held up to 5,000 songs and featured a red Click Wheel and custom engraving of U2 band member signatures. The iPod was being introduced as the band released their new album How to Dismantle an Atomic Bomb. In 2010, Forbes Magazine released its annual list of the Top Earning Dead Celebrities. Michael Jackson led the way at $275 million, Elvis Presley was second at $60 million and John Lennon was fifth at $17 million.